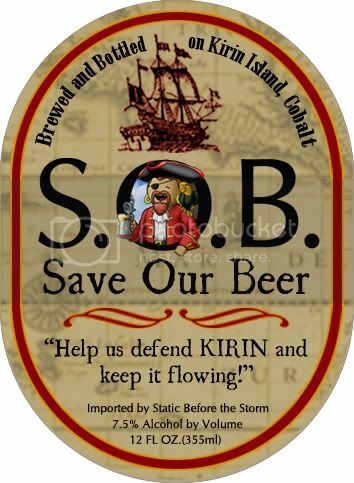 What: Defend Kirin and save the Beer!! How: See the Notice board! We will be up there. (1) Kirin is one of the best running islands on the ocean. Come help us keep it that way. Thanks again to Gtmac for our awesome beer label! Didn't I just post in this thread? A big thanks to all that came out and helped defend Kirin. We peaked the server population around 340-ish mates for this one with ~90 jobbing per side. Was great to see many that we have not seen in a long time poke on up and send more ships to the briny deep.